This article is about the ecological zone type. For other uses, see Steppe (disambiguation). Peculiar types of steppe include shrub-steppe and alpine-steppe. 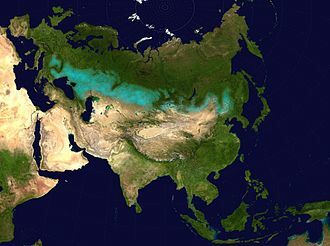 The Eurasian Grass-Steppe of the temperate grasslands, savannas, and shrublands had a role in the spread of the horse, the wheel, and the Indo-European languages. The Indo-European expansion and diverse invasions of horse archer civilizations of the steppe eventually led to, e.g., the rise of Mycenaean Greece by amalgamation of Indo-Europeans with the autochthonous pre-Greek population and also its destruction during the Dorian invasion in the Late Bronze Age collapse, followed by the demise of the Achaeans, the spread of the Sea Peoples, and eventually the rise of Archaic and ultimately Classical Greece. 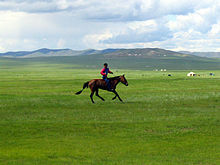 The world's largest steppe region, often referred to as "the Great Steppe", is found in Eastern Europe and Central Asia, and neighbouring countries stretching from Ukraine in the west through Russia, Kazakhstan, China, Turkmenistan and Uzbekistan to the Altai, Koppet Dag and Tian Shan ranges. The inner parts of Anatolia in Turkey, Central Anatolia and East Anatolia in particular and also some parts of Southeast Anatolia, as well as much of Armenia and Iran are largely dominated by cold steppe. The Pannonian Plain is another steppe region in eastern Europe, primarily Hungary. 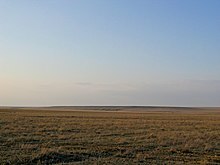 Another large steppe area (prairie) is located in the central United States, western Canada and northern part of Mexico. 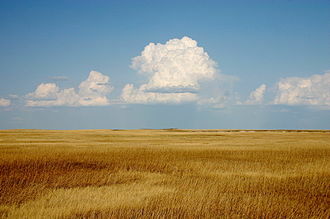 The shortgrass prairie steppe is the westernmost part of the Great Plains region. 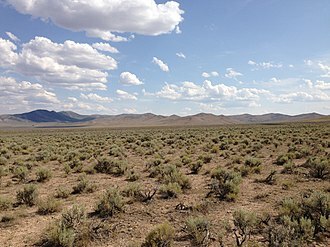 The Channeled Scablands in Southern British Columbia and Washington State is an example of a steppe region in North America outside of the Great Plains. In South America, cold steppe can be found in Patagonia and much of the high elevation regions east of the southern Andes. Relatively small steppe areas can be found in the interior of the South Island of New Zealand. In Europe, some Mediterranean areas have a steppe-like vegetation, such as central Sicily in Italy, southern Portugal, parts of Greece in the southern Athens area, and central-eastern Spain, especially the southeastern coast (around Murcia), and places cut off from adequate moisture due to rain shadow effects such as Zaragoza. In Asia, a subtropical steppe can be found in semi-arid lands that fringe the Thar Desert of the Indian subcontinent and the Badia of the Arabian peninsula. 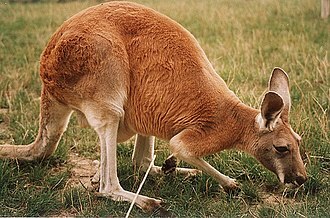 In Australia, "subtropical steppe" can be found in a belt surrounding the most severe deserts of the continent and around the Musgrave Ranges. In North America this environment is typical of transition areas between zones with a Mediterranean climate and true deserts, such as Reno, Nevada, the inner part of California, and much of western Texas and adjacent areas in Mexico. 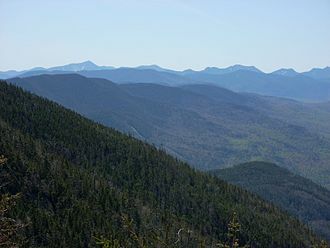 ^ a b "Ecoregions of the United States-Ecological Subregions of the United States". fs.fed.us. U.S. Forest Service, U.S. Department of Agriculture. Retrieved 25 October 2016. ^ "Hellinikon". HNMS.gr. Greece: Hellenic National Meteorological Service. Retrieved 2013-09-08. 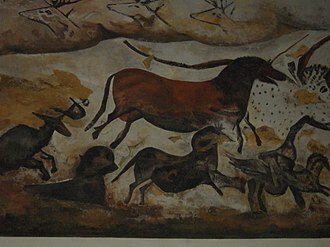 Wikimedia Commons has media related to Steppes. "The Steppes". barramedasoft.com.ar. 1998–2008. Retrieved 2008-04-04. The latter were named Dorian by the ancient Greek writers, after the Dorians, the historical population that spoke them. Greek legend asserts that the Dorians took possession of the Peloponnesus in an event called the Return of the Heracleidae, classical scholars saw in the legend a possibly real event they termed the Dorian invasion. The meaning of the concept has changed several times, as historians, the pattern of arrival of Dorian culture on certain islands in the Mediterranean, such as Crete, is not well understood. The Dorians colonised a number of sites on Crete such as Lato, despite nearly 200 years of investigation, the historicity of a mass migration of Dorians into Greece has never been established, and the origin of the Dorians remains unknown. Some have linked them or their victims with the emergence of the equally mysterious Sea Peoples, the meaning of the phrase Dorian invasion as an explanation for the cultural break after the Mycenaean period has become to some degree amorphous. Investigations into it have served mainly to rule out various speculations, the Greece to which the tradition refers is the mythic one, now considered to be Mycenaean Greece. The details differ from one ancient author to another, the commonality being that a ruling clan traced its legitimacy to Heracles. The Greek words referring to the influx of the Dorians are katienai and katerchesthai, literally to descend, come down or go down or, less commonly, be brought down. It means a descent from uplands to lowlands, or from earth to grave, or rushing down as a flood, or sweeping down as a wind and this sweeping down upon the Peloponnesus invited the English translation invasion. There is, however, a distinction between Heracleidae and Dorians, george Grote summarizes the relationship as follows, Herakles himself had rendered inestimable aid to the Dorian king Aegimius, when the latter was hard pressed in a contest with the Lapithae. Herakles defeated the Lapithae and slew their king Koronus, in return for which Aegimius assigned to his deliverers one third part of his whole territory and adopted Hyllus as his son. Soil is a mixture of minerals, organic matter, gases and countless organisms that together support life on Earth. Soil is called the Skin of the Earth and interfaces with the lithosphere, the hydrosphere, the atmosphere, the term pedolith, used commonly to refer to the soil, literally translates ground stone. Soil consists of a phase of minerals and organic matter, as well as a porous phase that holds gases. 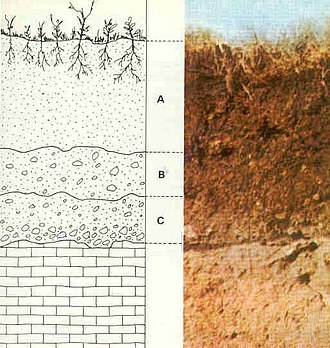 Accordingly, soils are often treated as a system of solids, liquids. Soil is a product of the influence of climate, organisms, Soil continually undergoes development by way of numerous physical and biological processes, which include weathering with associated erosion. Given its complexity and strong internal connectedness soil has been considered as an ecosystem by soil ecologists. Most soils have a dry bulk density between 1.1 and 1.6 g/cm3, while the particle density is much higher. Little of the soil of planet Earth is older than the Pleistocene and none is older than the Cenozoic, Soil science has two basic branches of study and pedology. Edaphology is concerned with the influence of soils on living things, pedology is focused on the formation and classification of soils in their natural environment. In engineering terms, soil is referred to as regolith, or loose material that lies above the solid geology. Soil is commonly referred to as earth or dirt, technically, as soil resources serve as a basis for food security, the international community advocates its sustainable and responsible use through different types of soil governance. Soil is a component of the Earths ecosystem. The worlds ecosystems are impacted in far-reaching ways by the carried out in the soil, from ozone depletion and global warming, to rainforest destruction. Following the atmosphere, the soil is the next largest carbon reservoir on Earth, as the planet warms, soils will add carbon dioxide to the atmosphere due to its increased biological activity at higher temperatures. Thus, soil carbon losses likely have a positive feedback response to global warming. In botany, a tree is a perennial plant with an elongated stem, or trunk, supporting branches and leaves in most species. In some usages, the definition of a tree may be narrower, including only woody plants with secondary growth, plants that are usable as lumber or plants above a specified height. Trees are not a group but include a variety of plant species that have independently evolved a woody trunk. 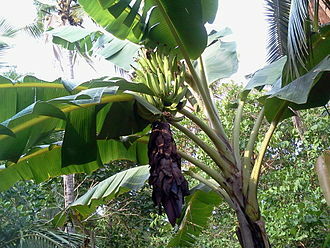 In looser senses, the palms, the tree ferns, bananas. Trees tend to be long-lived, some reaching several thousand years old, the tallest known tree, a coast redwood named Hyperion, stands 115.6 m high. Trees have been in existence for 370 million years and it is estimated that there are just over 3 trillion mature trees in the world. A tree typically has many secondary branches supported clear of the ground by the trunk and this trunk typically contains woody tissue for strength, and vascular tissue to carry materials from one part of the tree to another. For most trees it is surrounded by a layer of bark which serves as a protective barrier, below the ground, the roots branch and spread out widely, they serve to anchor the tree and extract moisture and nutrients from the soil. Above ground, the divide into smaller branches and shoots. The shoots typically bear leaves, which light energy and convert it into sugars by photosynthesis, providing the food for the trees growth. Flowers and fruit may be present, but some trees, such as conifers, instead have pollen cones and seed cones, such as tree ferns, trees play a significant role in reducing erosion and moderating the climate. They remove carbon dioxide from the atmosphere and store large quantities of carbon in their tissues and forests provide a habitat for many species of animals and plants. Tropical rainforests are one of the most biodiverse habitats in the world, trees provide shade and shelter, timber for construction, fuel for cooking and heating, and fruit for food as well as having many other uses. In parts of the world, forests are shrinking as trees are cleared to increase the amount of available for agriculture. Because of their longevity and usefulness, trees have always revered, with sacred groves in various cultures. Mycenaean Greece was the last phase of the Bronze Age in Ancient Greece. It represents the first advanced civilization in mainland Greece, with its states, urban organization, works of art. Among the centers of power emerged, the most notable were those of Pylos, Midea in the Peloponnese, Thebes, Athens in Central Greece. The most prominent site was Mycenae, in Argolid, to which the culture of this era owes its name. Mycenaean and Mycenaean-influenced settlements appeared in Epirus, Macedonia, on islands in the Aegean Sea, on the coast of Asia Minor, the Levant and Italy. Their syllabic script, the Linear B, offers the first written records of the Greek language, Mycenaean Greece was dominated by a warrior elite society and consisted of a network of palace states that developed rigid hierarchical, political and economic systems. 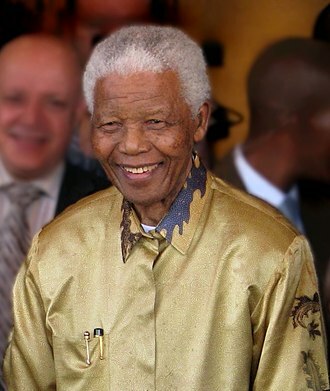 At the head of society was the king, known as wanax. Various theories have proposed for the end of this civilization. 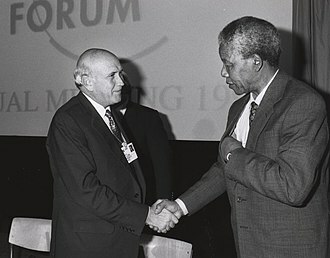 Additional theories such as natural disasters and climatic changes have suggested. 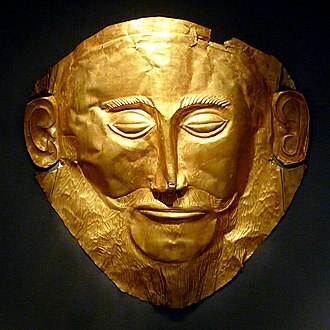 The Mycenaean period became the setting of much ancient Greek literature and mythology. The Bronze Age in mainland Greece is generally termed as the Helladic period by modern archaeologists, after Hellas, the Greek name for Greece. This period is divided into three subperiods, The Early Helladic period was a time of prosperity with the use of metals, the Middle Helladic period faced a slower pace of development, as well as the evolution of megaron-type dwellings and cist grave burials. Finally, the Late Helladic period roughly coincides with Mycenaean Greece, the transition period from the Bronze Age to the Iron Age in Greece is known as Sub-Mycenaean. Moreover, it revealed that the bearers of Mycenaean culture were ethnically connected with the populations that resided in the Greek peninsula after the end of this cultural period. Various collective terms for the inhabitants of Mycenaean Greece were used by Homer in his 8th century BC epic, the Iliad, in reference to the Trojan War. The latter was supposed to have happened in the late 13th – early 12th century BC, Homer used the ethnonyms Achaeans and Argives, to refer to the besiegers. Veld, spelled veldt, is a type of wide open rural landscape in Southern Africa. Particularly, it is an area covered in grass or low scrub, especially in the countries of South Africa, Swaziland, Botswana. A certain sub-tropical woodland ecoregion of Southern Africa has been defined as the Bushveld by the World Wide Fund for Nature. Trees are found only in a few places—frost and grazing animals allow grass to grow, the word veld comes from the Afrikaans word for field. 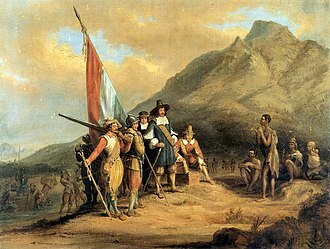 The etymological origin is older Dutch veldt, a spelling that the Dutch abandoned in favour of veld during the 19th century, decades before the first Afrikaans dictionary. 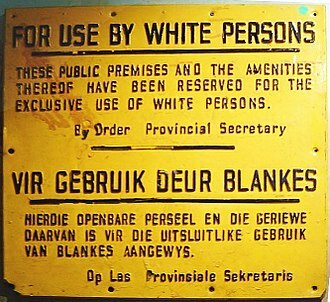 Subsequent addition of the t in the spelling veldt seems to have been mainly an English confusion with the already obsolete Dutch usage. 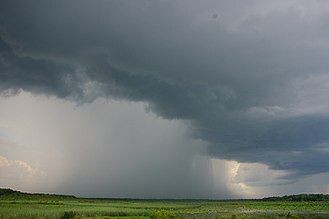 Precipitation mostly occurs in the months in the form of high-energy thunderstorms. Temperature is closely related to elevation, in general, the mean July temperatures range between 45 °F in the Lesotho Highlands and 60 °F in the Lowveld. January temperatures range between 65 °F and 80 °F, in Zimbabwe the precipitation averages around 30 to 35 inches on the Highveld, dropping to less than 15 inches in the lowest areas of the Lowveld. Temperatures are slightly higher than in South Africa, over the entire veld and annual average rainfall variations of up to 40 percent are common. Damaging drought affects at least half the area about once every three or four years, it reduces plant and animal biomass to sustainable levels again, everywhere the average number of hours of annual sunshine varies from 60 to 80 percent of the total amount possible. Veld can be compared to the Australian terms outback or the bush, to the prairie of North America, to the pampas lowlands of South America. Someone from Yorkshire might equate wandering across the moors to walking through the veld, by extension, the veld can be compared to the boondocks or those places beyond the black stump in Australia. There is a sense in which it refers in essence to unimproved land and these areas are referred to as fields. A windbreak is a plantation usually made up of one or more rows of trees or shrubs planted in such a manner as to provide shelter from the wind and to protect soil from erosion. They are commonly planted in hedgerows around the edges of fields on farms, if designed properly, windbreaks around a home can reduce the cost of heating and cooling and save energy. Windbreaks are planted to keep snow from drifting onto roadways. Other benefits include contributing to a microclimate around crops, providing habitat for wildlife and intercropping can be combined in a farming practice referred to as alleycropping. Fields are planted in rows of different crops surrounded by rows of trees and these trees provide fruit, wood, or protect the crops from the wind. Alley cropping has been successful in India and Brazil. A further use for a shelterbelt is to screen a farm from a road or motorway. This improves the farm landscape by reducing the visual incursion of the motorway, mitigating noise from the traffic, the term windbreak is used to describe an article of clothing worn to prevent wind chill. Americans tend to use the term windbreaker whereas Europeans favor the term windbreak, fences called windbreaks are used. Normally made from cotton, nylon and recycled sails, the poles are hammered into the ground and a windbreak is formed. Windbreaks or wind fences are used to wind speeds over erodible areas such as open fields, industrial stockpiles. As erosion is proportional to wind speed cubed a reduction of speed of 1/2 will reduce erosion by over 80%. In essence, when the wind encounters an obstacle such as a windbreak or shelterbelt, air pressure increases on the windward side. As a result, the approaching the barrier is retarded. The result is that wind speed occurs not at or within the windbreak, nor at its downwind edge. Beyond that point wind speed recovers, aided by downward momentum transport from the overlying, faster-moving stream, not only is the mean wind speed reduced in the lee of the shelter, the wind is less gusty, for turbulent wind fluctuations are damped. As a result, turbulent vertical mixing is weaker in the lee of the barrier than it is upwind, of course this effect is attenuated with increasing downwind distance and indeed, beyond about 8H downstream a zone may exist that is actually cooler than upwind. Nevada is a state in the Western, Mountain West, and Southwestern regions of the United States of America. Nevada is the 7th most extensive, the 34th most populous, nearly three-quarters of Nevadas people live in Clark County, which contains the Las Vegas–Paradise metropolitan area where three of the states four largest incorporated cities are located. Nevada is officially known as the Silver State because of the importance of silver to its history and economy. It is known as the Battle Born State, because it achieved statehood during the Civil War, as the Sage-brush State, for the plant of the same name. Nevada borders Oregon to the northwest, Idaho to the northeast, California to the west, Arizona to the southeast, Nevada is largely desert and semi-arid, much of it located within the Great Basin. Areas south of the Great Basin are located within the Mojave Desert, while Lake Tahoe, about 86% of the states land is managed by various jurisdictions of the U. S. federal government, both civilian and military. Before European contact, Native Americans of the Paiute, the first Europeans to explore the region were Spanish. They called the region Nevada because of the snow covered the mountains in winter. The area formed part of the Viceroyalty of New Spain, the United States annexed the area in 1848 after its victory in the Mexican–American War, and it was incorporated as part of Utah Territory in 1850. The discovery of silver at the Comstock Lode in 1859 led to a boom that became an impetus to the creation of Nevada Territory out of western Utah Territory in 1861. Nevada became the 36th state on October 31,1864, as the second of two added to the Union during the Civil War. Nevada has a reputation for its libertarian laws, in 1940, with a population of just over 110,000 people, Nevada was by far the least-populated state, with less than half the population of the next least-populated state. However, legalized gambling and lenient marriage and divorce laws transformed Nevada into a major tourist destination in the 20th century, Nevada is the only U. S.
Temperate grassland regions include the Pampas of Argentina, southern Brazil and Uruguay as well as the steppes of Eurasia. Lands typically referred to as prairie tend to be in North America, the Central Valley of California is a prairie. The Canadian Prairies occupy vast areas of Manitoba, Prairie is the French word for meadow, but the ultimate root is the Latin pratum. The formation of the North American Prairies started with the upwelling of the Rocky Mountains near Alberta, the mountains created a rain shadow that resulted in lower precipitation rates downwind, creating an environment in which most tree species will not tolerate. 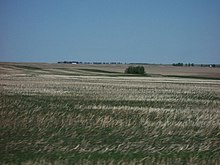 The parent material of most prairie soil was distributed during the last glacial advance that began about 110,000 years ago, the glaciers expanding southward scraped the landscape, picking up geologic material and leveling the terrain. As the glaciers retreated about 10,000 years ago, it deposited this material in the form of till, wind based loess deposits form an important parent material for prairie soils. Tallgrass Prairie evolved over tens of thousands of years with the disturbances of grazing, native ungulates such as bison and white-tailed deer, roamed the expansive, plentiful grassland before European colonization of the Americas. For 10, 000-20,000 years native people used fire annually as a tool to assist in hunting, evidence of ignition sources of fire in the tallgrass prairie are overwhelmingly human as opposed to lightning. Humans, and grazing animals, were participants in the process of prairie formation. Fire has the effect on prairies of removing trees, clearing dead plant matter, fire kills the vascular tissue of trees, but not prairie, as up to 75% of the total plant biomass is below the soil surface and will re-grow from its deep roots. Without disturbance, trees will encroach on a grassland, cast shade and widely spaced oak trees evolved to coexist in the oak savanna ecosystem. In spite of long recurrent droughts and occasional torrential rains, the grasslands of the Great Plains were not subject to soil erosion. Siberia is an extensive geographical region, and by the broadest definition is known as North Asia. 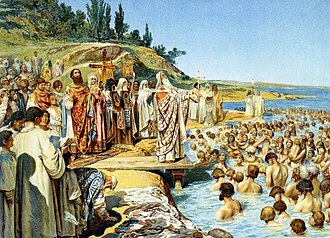 Siberia has historically been a part of Russia since the 17th century, the territory of Siberia extends eastwards from the Ural Mountains to the watershed between the Pacific and Arctic drainage basins. 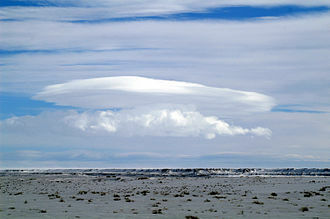 It stretches southwards from the Arctic Ocean to the hills of north-central Kazakhstan and to the borders of Mongolia. With an area of 13.1 million square kilometres, Siberia accounts for 77% of Russias land area and this is equivalent to an average population density of about 3 inhabitants per square kilometre, making Siberia one of the most sparsely populated regions on Earth. If it were a country by itself, it would still be the largest country in area, the origin of the name is unknown. 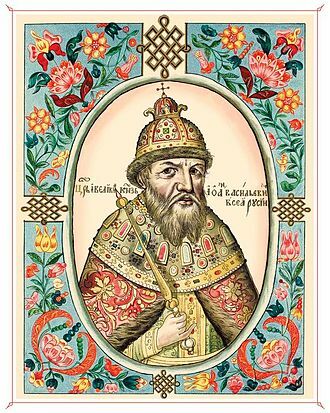 Some sources say that Siberia originates from the Siberian Tatar word for sleeping land, another account sees the name as the ancient tribal ethnonym of the Sirtya, a folk, which spoke a language that evolved into the Ugric languages. 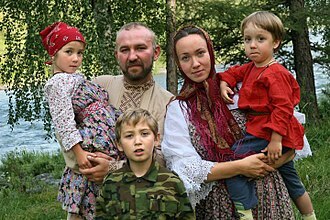 This ethnic group was assimilated to the Siberian Tatar people. 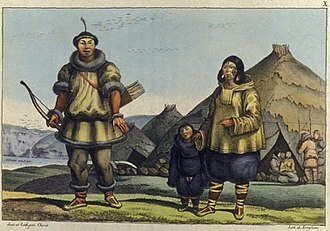 The modern usage of the name was recorded in the Russian language after the Empires conquest of the Siberian Khanate, a further variant claims that the region was named after the Xibe people. 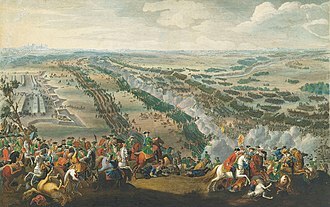 The Polish historian Chycliczkowski has proposed that the name derives from the word for north. He said that the neighbouring Chinese and Mongolians would not have known Russian and he suggests that the name is a combination of two words, su and bir. 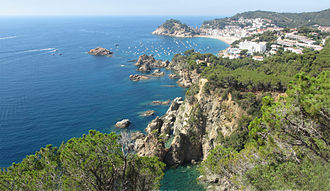 The region is of significance, as it contains bodies of prehistoric animals from the Pleistocene Epoch. Specimens of Goldfuss cave lion cubs and another woolly mammoth from Oymyakon, a rhinoceros from the Kolyma River. The Siberian Traps were formed by one of the largest known volcanic events of the last 500 million years of Earths geological history. They continued for a million years and are considered a cause of the Great Dying about 250 million years ago. At least three species of human lived in Southern Siberia around 40,000 years ago, H. sapiens, H. neanderthalensis, the last was determined in 2010, by DNA evidence, to be a new species. 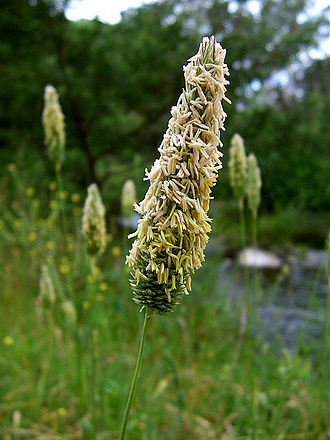 Grasslands are areas where the vegetation is dominated by grasses, however sedge and rush families can be found. Grasslands occur naturally on all continents except Antarctica, grasslands are found in most ecoregions of the Earth. For example, there are five terrestrial ecoregion classifications of the grasslands and shrublands biome. Grassland vegetation can vary in height from short, as in chalk grassland, to quite tall, as in the case of North American tallgrass prairie, South American grasslands. Woody plants, shrubs or trees, may occur on some grasslands – forming savannas, scrubby grassland or semi-wooded grassland, as flowering plants and trees, grasses grow in great concentrations in climates where annual rainfall ranges between 500 and 900 mm. The root systems of perennial grasses and forbs form complex mats that hold the soil in place, graminoids are among the most versatile life forms. Existing forest biomes declined, and grasslands became much more widespread, following the Pleistocene ice ages, grasslands expanded in range in the hotter, drier climates, and began to become the dominant land feature worldwide. Grasslands often occur in areas with annual precipitation between 600 mm and 1,500 mm and average annual temperatures ranges from −5 and 20 °C. However, some occur in colder and hotter climatic conditions. Grassland can exist in habitats that are disturbed by grazing or fire. Grasslands dominated by unsown wild-plant communities can be called natural or semi-natural habitats. The majority of grasslands in temperate climates are semi-natural and these grasslands contain many species of wild plants – grasses, sedges and herbs –25 or more species per square metre is not unusual. Chalk downlands in England can support over 40 species per square metre, in many parts of the world, few examples have escaped agricultural improvement. For example, original North American prairie grasslands or lowland wildflower meadows in the UK are now rare and their associated wild flora equally threatened. Some of the worlds largest expanses of grassland are found in African savanna, grasslands may occur naturally or as the result of human activity. A chariot drawn by horses. The Charioteer of Delphi was dedicated to the god Apollo in 474 BC by the tyrant of Gela in commemoration of a Pythian racing victory at Delphi. Diagram was calculated (Abscisse: 21. of each month) Calculation based on data published by Jones et al. A, B, and C represent the soil profile, a notation firstly coined by Vasily Dokuchaev (1846-1903), the father of pedology; A is the topsoil; B is a regolith; C is a saprolite (a less-weathered regolith); the bottom-most layer represents the bedrock. Surface-water-gley developed in glacial till, Northern Ireland. 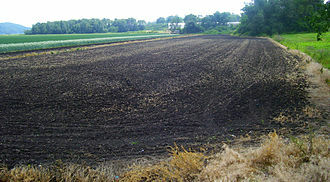 Soil, on an agricultural field in Germany, which has formed on loess parent material. Measuring soil respiration in the field using an SRS2000 system. 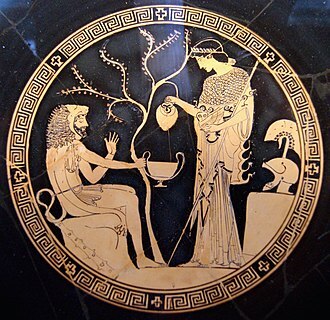 Heracles and Athena. an Attic red-figure vase. A record of Pylos, preserved by baking in the fire that destroyed the palace about 1200 BC, according to the excavator, Carl Blegen. The record must date to about 1200, as the unbaked clay, used mainly for diurnal or other short-term records, would soon have disintegrated. True-color image of the Earth's surface and atmosphere. NASA Goddard Space Flight Center image. 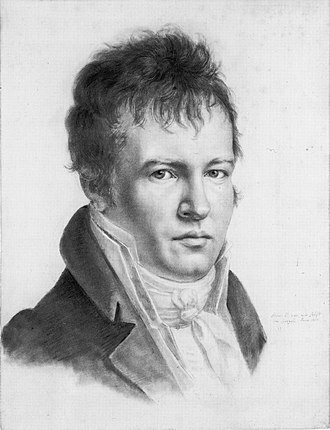 Alexander von Humboldt, considered to be the founding father of physical geography. Shrubsteppe, one of America's most endangered ecosystems on fire. Artemisia tridentata ssp. wyomingensis is not adapted to fire unlike Ponderosa pine and is in most cases completely destroyed. 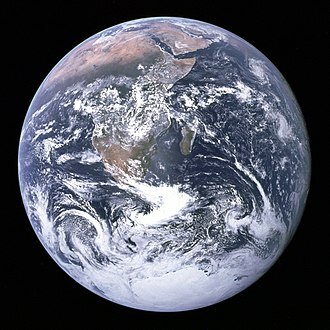 View of Earth, taken in 1972 by the Apollo 17 crew. Approximately 72% of the Earth's surface (an area of some 361 million square kilometers) consists of ocean. Shortgrass prairie of the Llano Estacado.